The other well known mountain in the area (Camelback Mountain being the most well known), the peak was formerly known as 'Squaw Peak' prior to being renamed in honor of Army Spc. The other well known mountain in the area (Camelback Mountain being the most well known), the peak was formerly known as 'Squaw Peak' prior to being renamed in honor of Army Spc. Lori Ann Piestewa who was the first Native American woman killed in combat in the U.S. Military in 2003. Due to the recent name change visitors will find references to the peak under both names (for instance, the road leading to the park on the south side of the mountain still has the prior name). 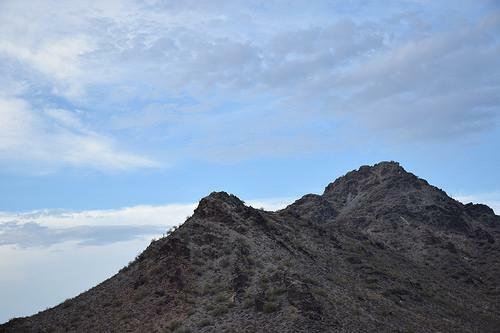 This mountain, whose summit rises to 2,608 ft (817 m), is much more accessible to visitors than is Camelback Mountain. Picnic areas exist both on the south side of the mountain (Phoenix Mountains Park entrace on Squaw Peak Ln.) and the north side (Dreamy Draw Park, entrance via Northern Ave.).